Launching a new automotive product into the UK market. The Kemetyl Group is a Swedish company trading in 45 European countries and has a turnover of €140 million. Their product portfolio contains fluids and hardware, car care and accessories, hygiene and household products in is the largest manufacturer of ethanol in Europe. 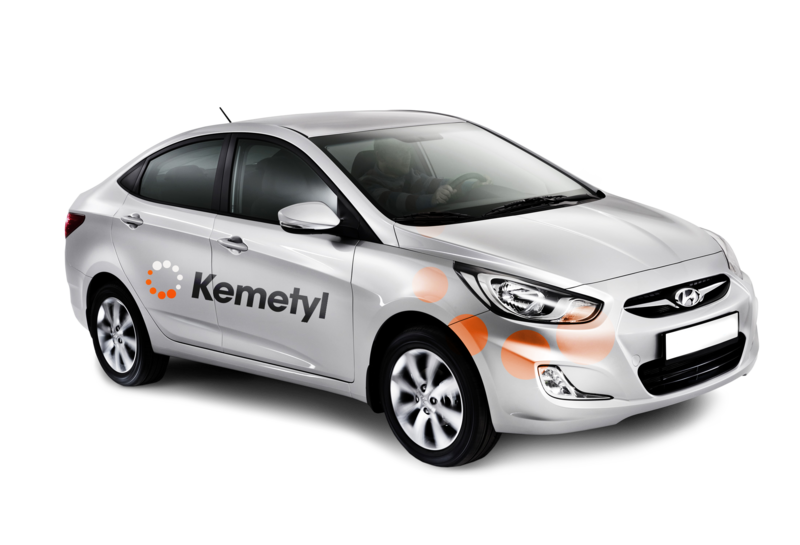 The brief was to launch Kemetyl AdBlue, a new automotive product that reduces the level of harmful exhaust emissions in diesel cars. AdBlue is a trademarked product that has been developed to comply with Euro 6 European emissions legislation. 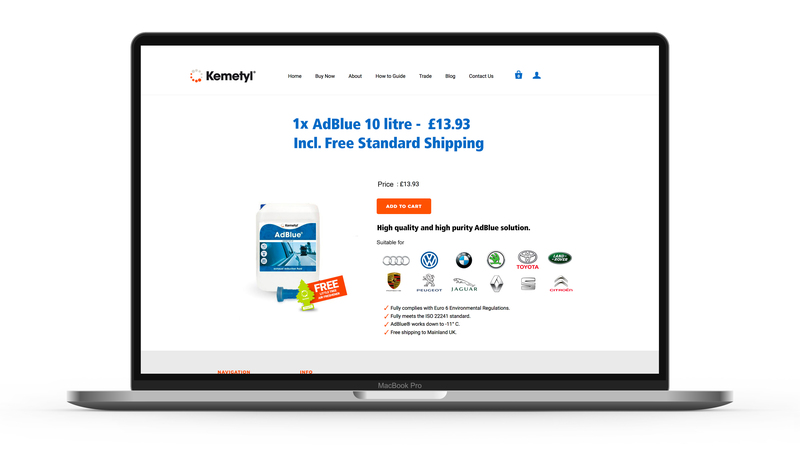 The marketplace is extremely competitive and to differentiate Kemetyl have developed a unique non-spill applicator to ensure the urea based product does not get onto clothes or paintwork. The challenge was to launch the new product into a market where awareness is low, the political agenda is heated and all with a relatively small budget. To kick off this innovative product, a launch strategy was created, which included positioning of the product as unique with non-spill technology aimed at the DIY diesel driver. The key benefits of this product was the ease of use and availability online, these were applied to all marketing collateral. 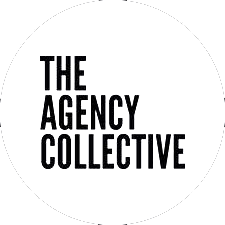 A new e-commerce website was built, incorporating an impactful video educating the consumer. Promotional activity was all online and included search engine optimisation and online marketing platforms, including Google Shopping, Google Display and Google AdWords.